First - excited to announce that Darcy Lynn was the big winner of the $130 Nordstrom gift card! Don't be too disappointed, I foresee more giveaways in the near future! Now, onto the style challenge! Hopefully you've been around long enough to see my maternity interpretations of week 1 and week 2... week 3 means we're wrapping up, but I'll be posting next week with a recap and sharing some of my favs! The stripe dress again. I'm kinda loving this dress. Still chilly here so needing the leggings (plus, my legs are a ghostly shade of white) but making it work! 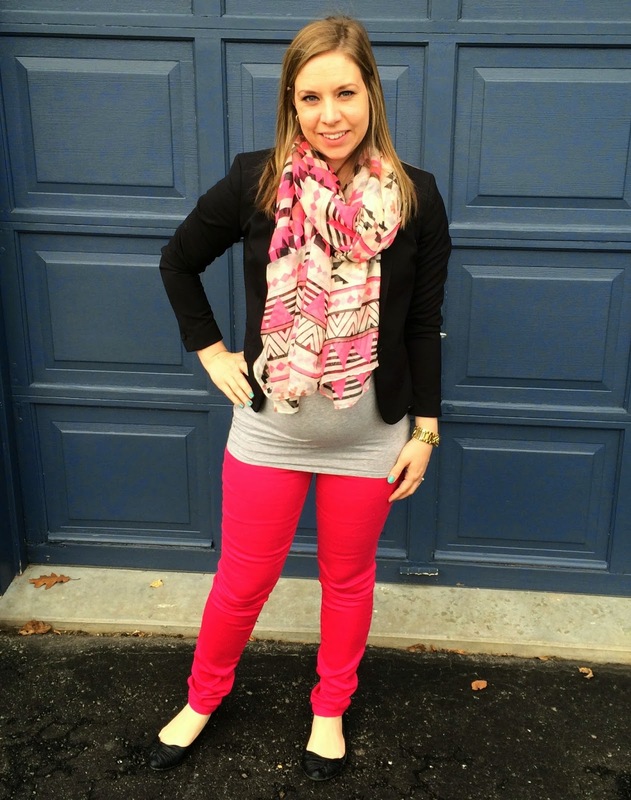 The pop of color with the scarf and shoes definitely adds some 'spring' to the outfit! YIKES, camo leggings!! I bought these badboys for the challenge but have been too chicken to wear them. Went pretty casual with the rubber boots for daytime running around. Clearly I warmed up to the camo leggings. Switched up the shoes and kept the leggings for date night! Added some red lips and good to go! Again, super tired this day (thank you sunglasses for helping me hide my tired eyes) so went for comfy/casual. I was really unsure about this outfit and almost changed before heading out for the day but was too tired to figure something else out. I think it works, no? Had a meeting so wore the blazer which quite obviously is not doing up anytime soon. I'm still in love with the pink pants, they make me happy. Maxi skirts = socially acceptable pjs. This outfit is a total win in my books, I felt cute but was more than comfy all day (though that nearly resulted in a nap at my desk so be forewarned). 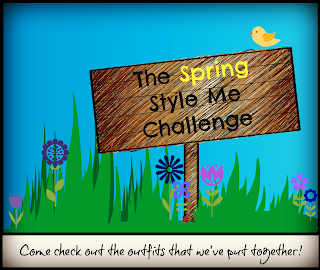 Make sure you check out my fellow style challengers below to check out their non-maternity versions of the outfits this past week! 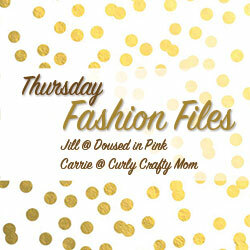 We'd love for you to linkup with us and share what you've been wearing. I still can't believe I liked them, can't wait to see your floral leggings!! Looove those camo leggings on you!!! you get some credit for inspiring me to buy them! 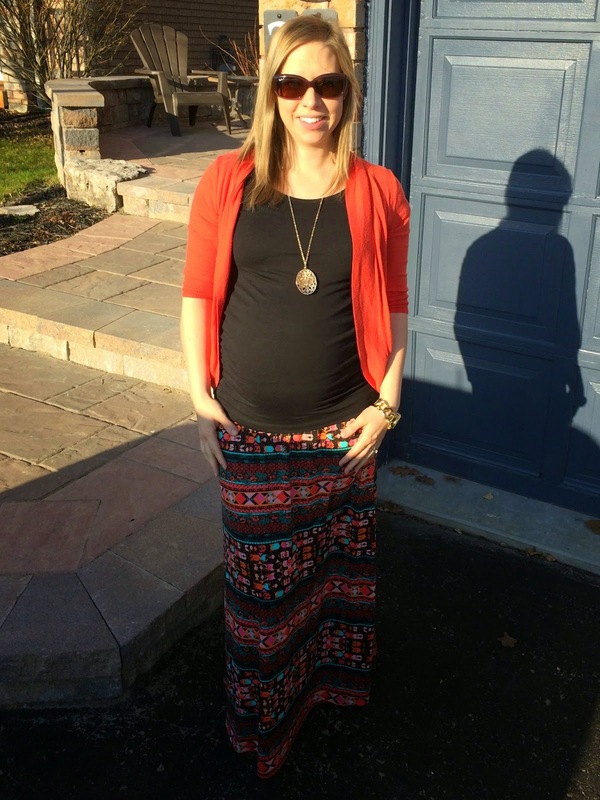 You are the most fashionable pregnant lady I've ever seen. I can't choose a fave as I love them all! Super cute! I think the blazer and pink pants is my favorite this week! I'm in love with all of the outfits, but the camo leggings?! Perfection on you friend! Love all the looks on you! You make pregnancy look great my friend! And those camo leggings!!! Ugh! I need them now!!! Those camo leggings look AWESOME on you. Now I really want a pair! I don't even have a pair of camo skinnies, I have been looking forever and just haven't found any I like. You look great! It's so funny how unsure I was about them but I'm guessing they're keepers!! for not anyways... eventually, I'll need to try and find a non-maternity pair so I'll keep ya posted if I find them! I'm in the majority! My favorite look is the camo leggings! You are looking super cute in all of these outfits girl!! You have that pretty glow, especially loving the camo leggings, striped dress and your maxi skirt. Hope you are doing well. 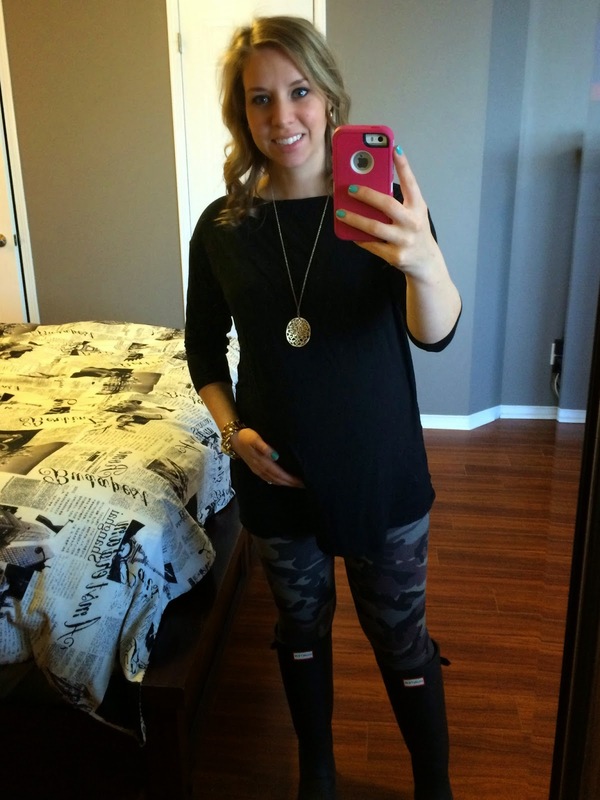 You look great in everything, but I'm LOVING the camo leggings! You're the most gorgeous pregnant person. thanks Lana, I don't always feel like I look great but you ladies make me feel so so much better! Love those camo leggings!! And that striped dress with the leggings and bright flats!! You look so great!! Glowing!! thanks! I love the striped dress and the camo is growing on me! thanks! 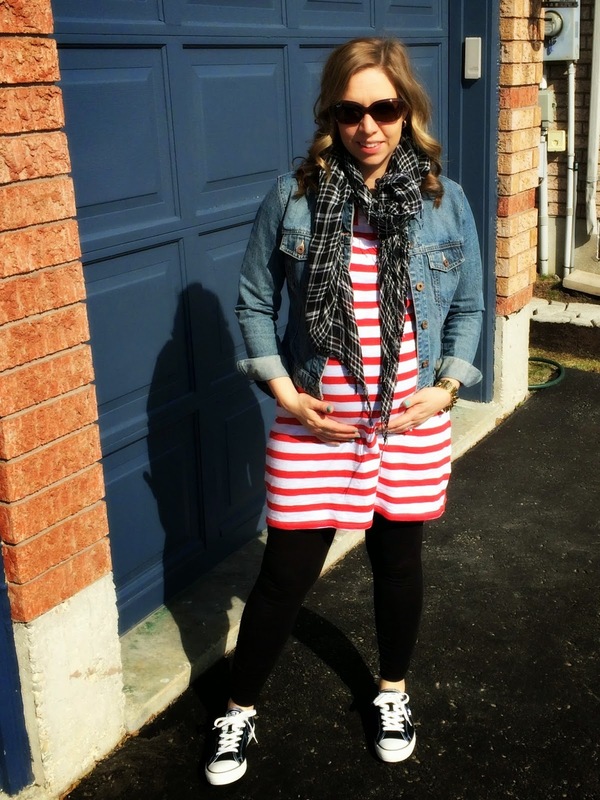 Loving the striped dress too! You are the model mommy-to-be! So glad you warmed up to the camo leggings...THEY ARE PRECIOUS! And the outfit with the soft blue chambray and the coral cardi and scarf is another of my favorites. 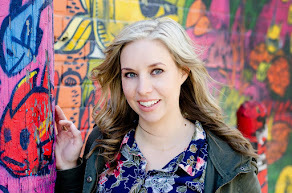 Pregnancy is hard work, and combining that with being a mommy to an active 2 year old, a wife and holding down a job outside of the home is the recipe for exhaustion. Take care of you! and you are the sweetest! Lol it is hard work and I'm super tired but it's nice feeling 'pretty' at least some days! LOVE those camo leggings! My other favorite is the first look with the striped dress and leggings! Love you in that chambray top and those camo leggings are perfection! 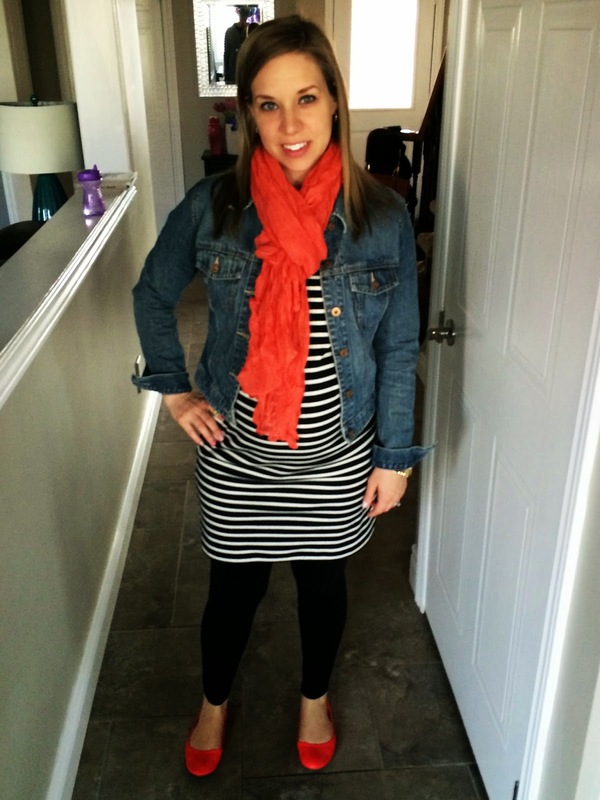 You have rocked all the looks maternity style. Ha! Socially acceptable pj's for the win! I'm totally with you on that one. Super cute outfits!